Every aspect of this revolutionary new competition over-and-under is designed to perform—beautifully. 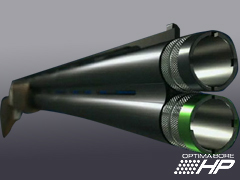 The new profile of the barrels also unifies form and function: the tubes elegantly blend with the receiver and ensure excellent strength and durability. 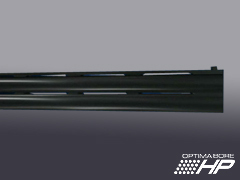 The top moldings are gracefully modeled in harmony with the style of the receiver and simultaneously guarantee an improved field of view when sighting. Machined from a solid steel alloy billet, hardened and tempered, the receiver provides a low and elegant profile that allows the redirection of the recoil in-line to the shooter’s shoulder. 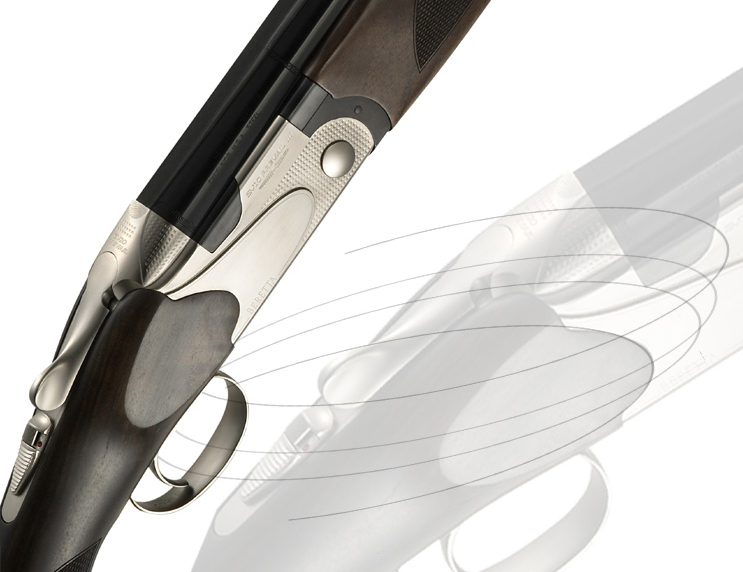 The felt recoil is therefore reduced and the ease of shouldering increased. The high-strength alloy receiver is treated with an exclusive, nickel based, protective finish that increases its durability and resistance to the environment’s corrosive elements.